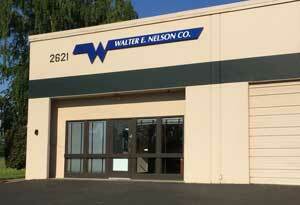 Walter E. Nelson Co. of Eugene – Walter E. Nelson Co.
What sets our Eugene location apart from other Walter E Nelson companies is a heavy focus on custom packaging. We are the source for product diversity, knowledge, and ingenuity in boxes, bags, and fill for the greater Eugene area. Still, in our heart, we are proud distributors of quality Jan/San products as part of the Walter E Nelson network in the Pacific Northwest. We know that safe and healthy environments are important to you. The same goes with the cleaning chemicals you bring into your facility. “Old School” cleaning chemistry used to include ingredients proven to be harmful (and even carcinogenic) over the long term. That’s why Walter E Nelson of Eugene markets the newest cleaning technologies – proven to be safe to the people who use them, and to those who work, shop, study, and play around them. But our offering goes beyond “earth friendly” cleaning. We carry a wide variety of proven and effective equipment from commercial floor buffers, vacuums, to carpet extractors and spotters. We also service what we sell. From simply ordering a replacement part for you to setting up a planned maintenance program custom designed to keep your equipment in top shape, we want to be your partner. Our custodial supplies (including the newest microfiber products) will help you keep your workspaces sparkling clean while our professional cleaning product lines provide everything you need for your cleaning service. Talk to our professional sales staff (some with more than 30 years of experience). We are located close to you in West Eugene and we have the answers.